Smith students volunteered for the annual Northampton Craft Fair over the weekend of December 2-3. 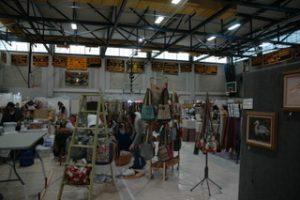 Artists came from all across New England to sell their work, and an entrance fee was charged to those who wanted to browse. 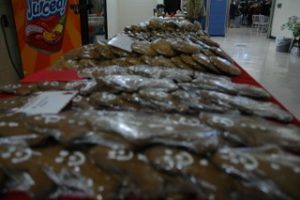 The proceeds went toward Big Brothers, Big Sisters, an organization supported by the Smith College Community Service Office (CSO). Big Brother, Big Sisters is a non-profit organization with the mission to “provide children facing adversity with strong and enduring, professionally supported one-to-one relationships that change their lives for the better, forever,” according to Big Brothers, Big Sisters of America’s website. 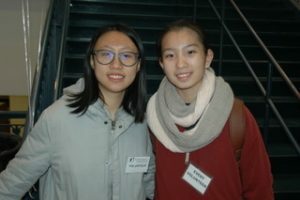 Smith students volunteer as mentors for children in the community and meet up with their mentees on a weekly basis in Bodman Lounge, in the lower level of Helen Hills Hills Chapel. Over the weekend, Smithies moved craft supplies, table decorations, and art into Northampton High School, where the craft fair took place. 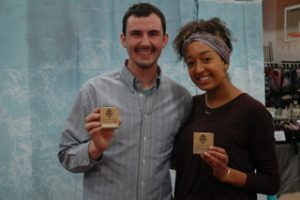 Among the artisans present was a non-profit with local roots, Esperanza Soaps, which supports and empowers an impoverished area in the Dominican Republic, Las Mavinas. 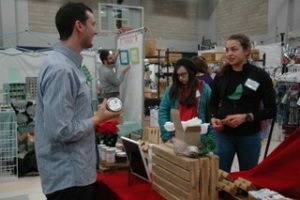 Branded as “Soap for Hope,” much of the soap sold at the craft fair was made in the Pioneer Valley area, but the proceeds go towards building up Las Mavinas and teaching women in this vulnerable community how to make soap. 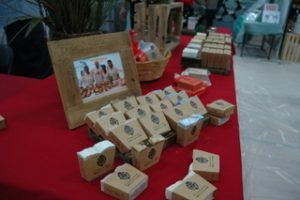 The social mission of Esperanza Soaps is to “give good jobs to those who need it most,” according to its website. Mercy House, a local church in the area frequently attended by Smithies, organizes mission trips to the Dominican Republic and supports Esperanza Soaps. Krista Webb and Max Rankin both attend Mercy House and volunteered for Esperanza Soaps at the craft fair. Smithies helped the two bring in supplies and set up their booth on Saturday. The Center for Religious and Spiritual Life and the Community Service Office have collaborated and shared resources over the years. This entry was posted in Student Articles and tagged community service. Bookmark the permalink.